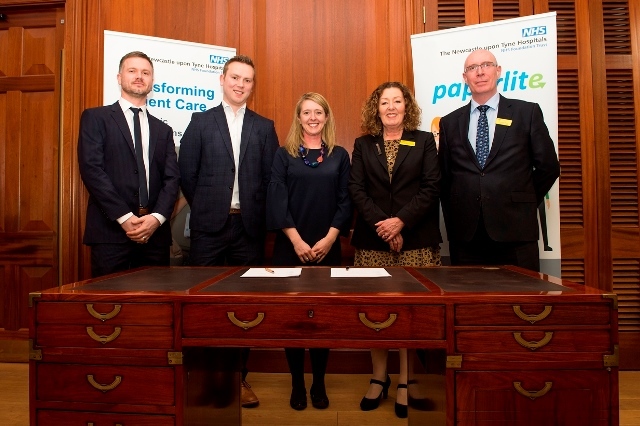 Cerner has been selected as the supplier that will provide the technology needed to connect patient information across the North East and North Cumbria in England in a regional record sharing project called the Great North Care Record. The partnership looks at the information exchange component of the initiative, and the first organisations involved are expected to go live in the autumn of this year. The Great North Care Record project has been created through a collaboration between local NHS organisations and the government-funded Connected Health Cities programme. The aim is to help hospitals, GPs, social care, mental health, community and ambulance services in the region share the information they need to provide care for their patients, such as medication history, test results and allergies. The first phase of the initiative saw the introduction of the Medical Interoperability Gateway and the Information Sharing Gateway. Currently, it allows healthcare practitioners from accident and emergency departments and mental health, ambulance, out-of-hours and 111 services to access information from a patient’s GP record, unless they have opted out of their information being shared between healthcare services locally. “In emergency situations, when time is of essence, making sure that critical information is available to care teams is vital. Having access to someone’s clinical information helps staff to make well informed care decisions based on each patient’s individual needs,” said Dame Jackie Daniel, chief executive of Newcastle upon Tyne Hospitals NHS Foundation Trust, which is leading the initiative. In a YouGov poll carried out on behalf of Teesside University last year, 94 percent of people surveyed in North East and North Cumbria said they would allow their healthcare records to be shared within the health service if they needed medical treatment. In August 2018, it was revealed that the Academic Health Science Network for the North East and North Cumbria would fund a regional Health Information Exchange for the next two years, and, in February this year, Digital Health reported that the Great North Care Record had been selected as a local health and care record exemplar (LHCRE) site. The LHCRE programme, according to NHS England, aims to create an “information sharing environment” by supporting and providing funding to areas “already adopting best practice (…) in the collection, protection and use of health and care data to go further, faster and encourage others to follow swiftly in their footsteps”. “What the Great North Care Record is doing to improve outcomes and the quality of care they provide to their population is truly remarkable, and the impact this will have in improving the experience for patients and care teams will speak for itself,” added Distie Profit, Cerner UK general manager.